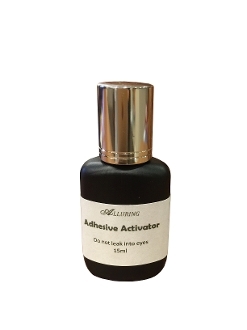 The Alluring glue activator is designed to speed up the drying time (curing) of eyelash extension glue. It will speed up the application time! Also, it will effectively cleanse natural lashes and residual oils, and build-up of makeup to extend the glue bonding period. Client's eyes should be closed during application .